Two-thousand-eighteen has come to a close and it has been a year of both successes and challenges for Revere’s Riders. The statistics that I will present below do little justice to the hard work of our volunteers and instructors. What is not apparent in the 2018 statistics is that Revere’s Riders is genuinely starting to gain momentum and grow. Without the contributions of time and, in many cases, treasure by our volunteers and instructors we would not have accomplished nearly as much. Thanks to all who contributed in 2018! Instructors: in 2018 we advanced several instructors in the Revere’s Riders instructor certification program. This will help us to run more events in upcoming years, replenish instructors that leave our organization, as well as expand our presence to new areas. Financials: approximately $13,600 in revenue and $12,200 in expenses leaving an approximate $1,400 operating reserve. As in previous years, significant expenditures are anticipated in 1Q and 2Q 2019 that will expend this operating reserve and likely dip into cash reserves (neglecting 1Q and 2Q revenue from ticket sales). Cash on Hand: our cash reserves now stand at slightly more than $11,500, a substantial increase over our position at the end of 2017. Elections: elections were held late in 2018 for 2nd Vice President, Secretary and Treasurer. Revere’s Riders is proud to have members answer the call to serve as officers and move our mission forward. Battle Road Biathlon℠—this new event for 2018 takes the traditional winter sport of biathlon and adapts it to warm weather while tying in to physical exertion of the colonial militia on April 19, 1775. The event was a success and plans are underway to run another Battle Road Biathlon℠ in 2019. Camp Atterbury “Pop-Up” Target—as a non-profit organization, Revere’s Riders is able to utilize the world-class ranges at Camp Atterbury Joint Maneuver Training Center near Edinburgh, IN. In 2018, we held our initial event at the “pop-up” pistol and rifle ranges used by the US Army for weapon qualification. The ranges utilize targets that “pop-up” under computer control from behind small berms; sensing of hits and scoring is also computerized. In particular, we look forward to conducting more events at Camp Atterbury Joint Maneuver Training Center and utilizing the world-class facilities there to provide unique training opportunities to the public. Note that these events are conducted on the military side of the base and not at the publicly accessible Atterbury Shooting Complex. The total number of events offered in 2018 was substantially affected by the move of our primary Nevada-based Event Director, Chris Seidler, to Rhode Island. Once Chris settles down, we are confident that he will again run a substantial number of events. In short, Revere’s Riders has continued to pursue the primary purpose for the organization’s formation: allowing and even encouraging innovative firearms training events. In 2019, Revere’s Riders plans a significant push to bring our organization more to the forefront of firearms related non-profit volunteer organizations. A big part of that push will be a booth planned for the 2019 National Rifle Association Annual Meeting to be held April 26-28 in Indianapolis, IN. If you plan on attending the Annual Meeting, please stop by and see us at our booth. In 2019, we plan to more formally build-out sponsorship opportunities. Initially, these will consist of Target Sponsorships along with Website Sponsorships. 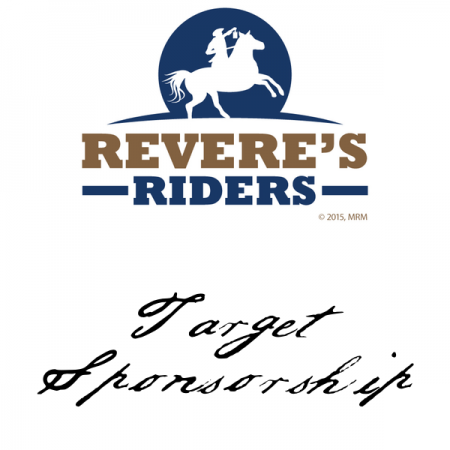 Revere’s Riders members, volunteers, instructors and friends are all encouraged to present these sponsorship opportunities to any organization they believe may be interested. Sponsorship proceeds will go directly to supporting Revere’s Riders programs as well as allowing us to continue offering substantially discounted events for scouts and women. We also have big plans in mind for the 3rd Annual Marty Brown Rifle Invitational. Our intent is to make this the premier event for our organization and for a portion of the event proceeds to go to a deserving charitable organization. Look for more details on the Marty Brown Rifle Invitational as we get them nailed down. Pistol 145 (Introduction to Defensive Pistol)—we will be offering a 1-day introduction to defensive pistol which will be taught by John Viray of Adaptive Consulting and Training. This is an initial foray into offering joint firearms training courses with established and highly qualified professional firearms instructors. Historic Military Surplus Firearms—this will be a 1-day (or less) event consisting primarily of presentations on the history, design and acquisition of historic military surplus firearms. At the end of the presentations, participants will be given a chance to put rounds downrange with each of the firearms. 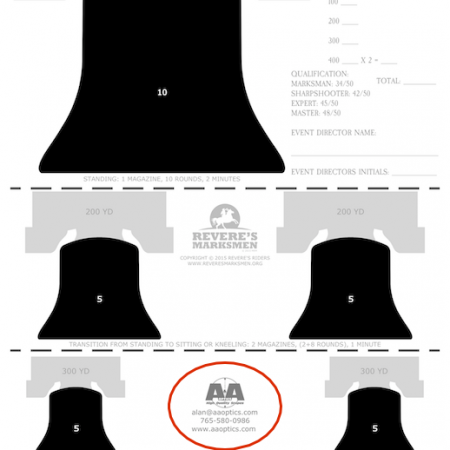 This is the perfect event for the historic firearms aficionado and demonstrates Revere’s Riders commitment to allowing it’s instructors to put on unique events. Sign up for the “Upcoming Events” newsletter to make sure you don’t miss any of the fantastic events planned for 2019. A sign-up form is available in the website footer and as an option with each purchase of an event ticket. We are constantly looking to expand our programs to new areas. Our presence at the 2019 NRA Annual Meeting along with social media provide the main avenues for “word of mouth” advertising for Revere’s Riders. We always welcome new volunteers and instructors as evidenced by our recently expanded presence in Pennsylvania. Attend one of our upcoming events, get some fantastic firearms training and learn some Revolutionary War history. Better yet, bring a friend with you! If you would like to volunteer some of your time to Revere’s Riders, please fill out our Volunteer Application and will get back to you as soon as we can. 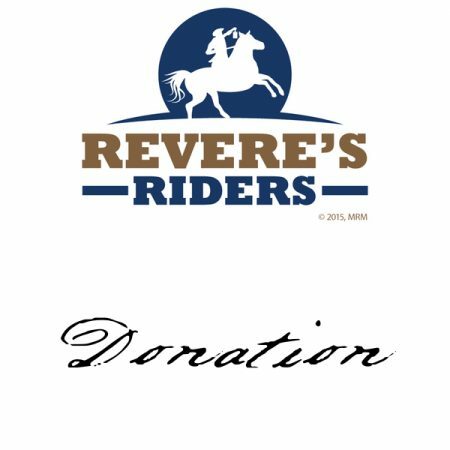 Revere’s Riders is a 501(c)3 non-profit organization and your cash donation is tax-deductible to the extent allowed by law. Donations are put immediately to work supporting our mission. We have several ways for your business to partner with Revere’s Riders and support our programs. Additionally, if your organization would like to donate services, materials, etc. to Revere’s Riders, please contact us to discuss potential opportunities. Two-thousand-nineteen looks to be a break-out year for Revere’s Riders. I invite everyone to learn more about our organization either by attending one of our events or by committing to help our mission as a volunteer. You won’t regret it!